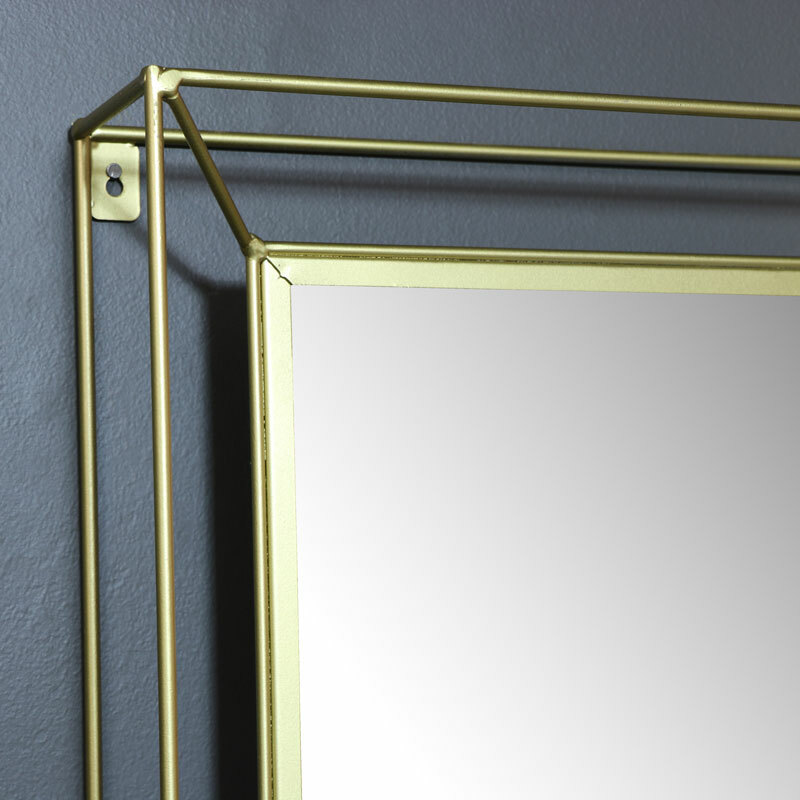 Slim gold metal framed wall mirror. Luxurious, glam luxe style with metallic gold 3D style frame. Ideal for displaying in the living room or hallway. Perfect for the modern, contemporary home decor. Unique, eye catching design with rectangle shaped mirror inside wire framed design. Also available in a copper finish and just one of many mirrors we have to offer. This stunning mirror will breathe some new life into your decor. Use wall mounted or lean against the wall, the eye catching design will add some dramatic flair to a room. 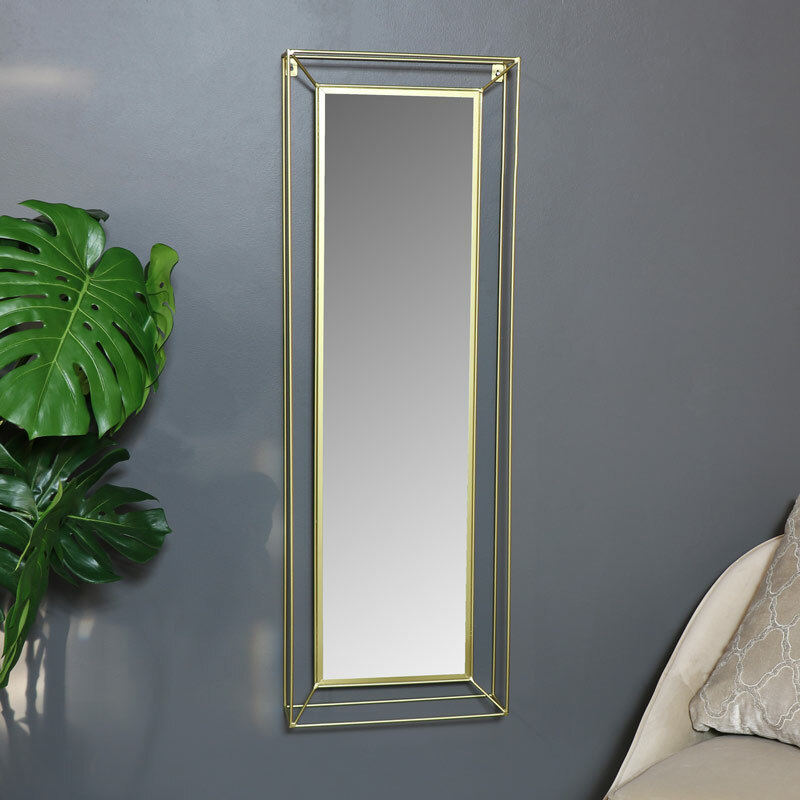 Slim gold metal framed wall mirror. Luxurious, glam luxe style with metallic gold 3D style frame. Ideal for displaying in the living room or hallway. Perfect for the modern, contemporary home decor. Unique, eye catching design with rectangle shaped mirror inside wire framed design. Also available in a copper finish and just one of many mirrors we have to offer. This stunning mirror will breathe some new life into your decor. Use wall mounted or lean against the wall, the eye catching design will add some dramatic flair to a room.